DESIGN EXPERTISE: I could always visualize. I could see things in my head, see ways of putting things together. I can go into a room and know what to do. 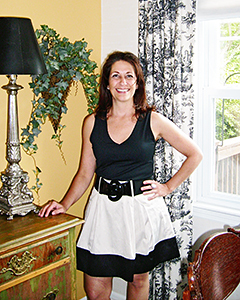 Its all about line and form. Certified interior designer Amy Lebowitz is owner of the Interiors by Decorating Den franchise in Princeton. SWEET TREATS: I like seeing the customers happy and enjoying themselves. Theyre from all over the area, and theyre all ages  kids, parents, grandparents. 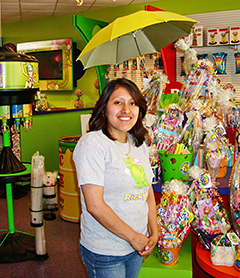 Parents come in with their kids, and its a fun place to be. Julissa Guzman, manager of Rickys Candy, Cones & Chaos, is shown by a special display of candy baskets, suitable for birthdays and many other occasions.